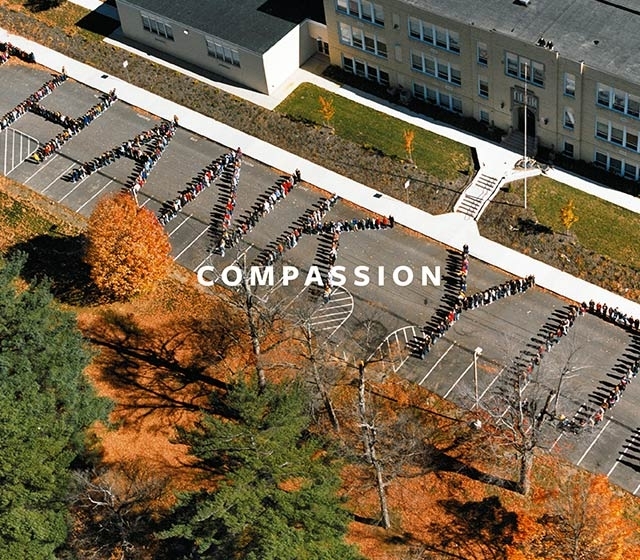 Commemorating 9/11 with interactive media. 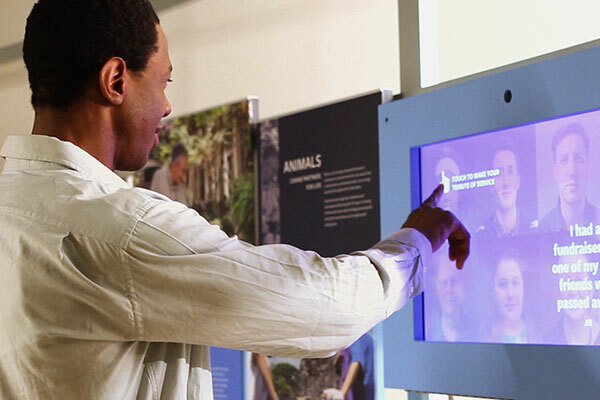 Oral history interactive kiosks, digital signage, gallery films, bright sign media, medial wall exit experience, social media integration, and photo kiosk. 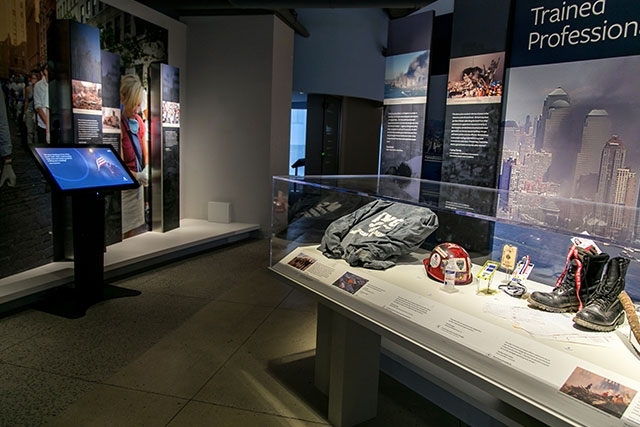 To commemorate the families, survivors and victims of the September 11th tragedy, Unified Field created a host of interactive media and gallery films for the new 9/11 Tribute Museum. 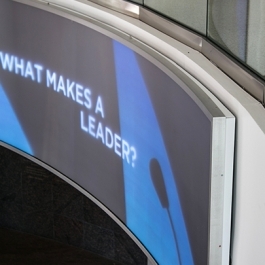 We created 6 interactive oral / video story history stations, dynamic lobby displays, digital signage, 5 linear films and the Seeds of Service media wall exit experience. 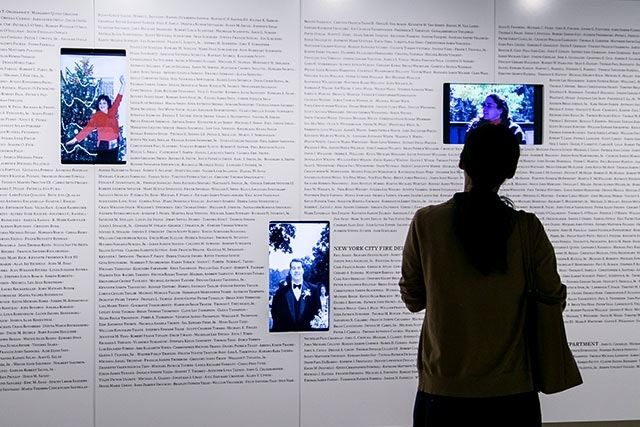 The Seeds of media wall features visualizations illustrating the power of groups and individuals dedicated to doing good around the world. 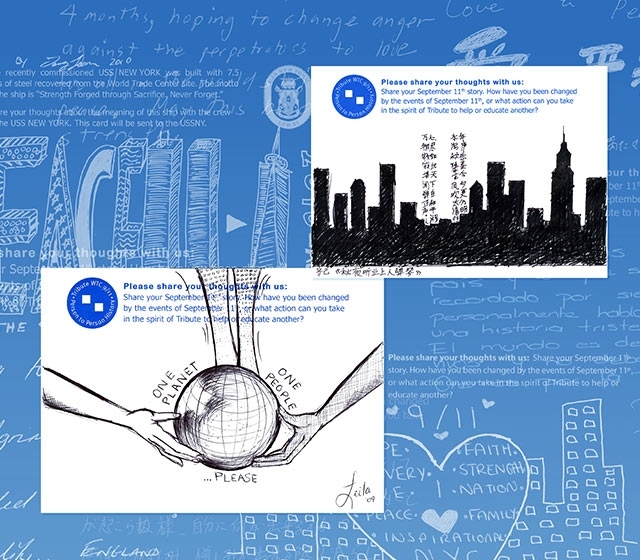 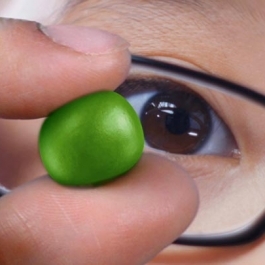 Seeds of Service, is a highly participatory and dynamic experience. 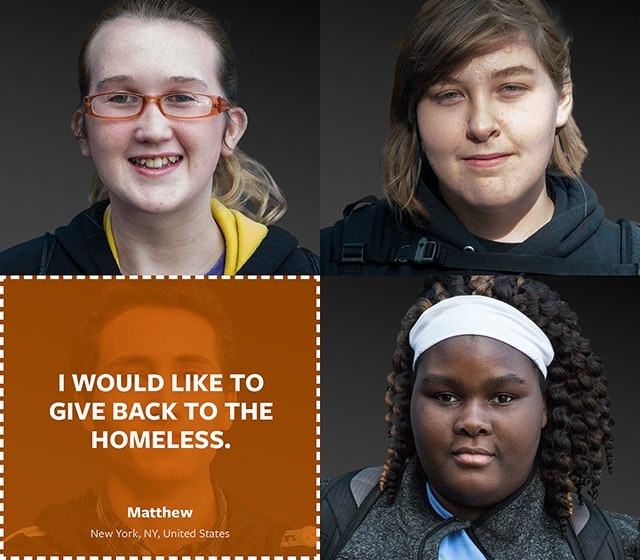 Visitors either pledge to do some good in the world, or share some of the good that they are already doing. 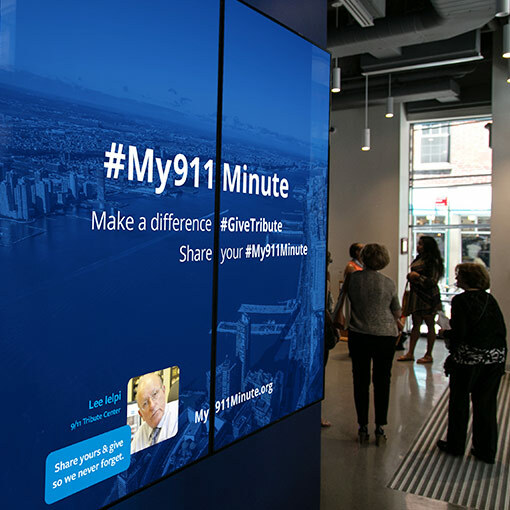 Visitors add their selfie along with some demographic information about themselves and their good works. 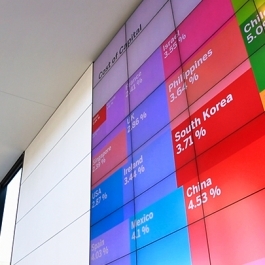 This information is then saved into the database which then appears as a beautiful, dynamic and changing data visualization on a large media wall. 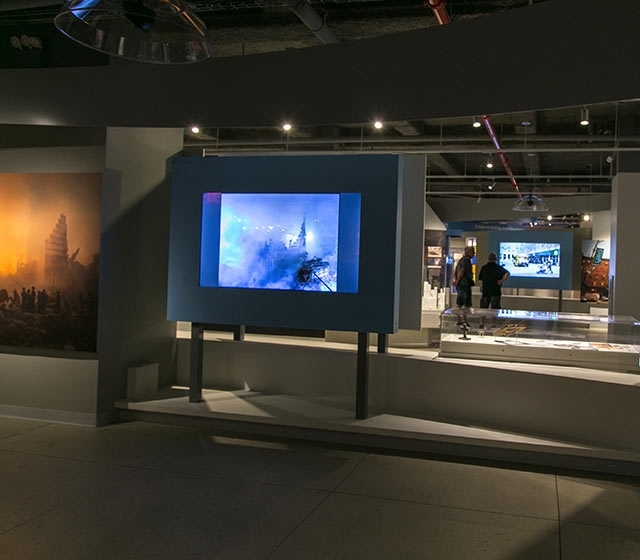 Additionally, the media communicates messages and updates from the museum, displays visitor input and drawings and displays real time content from its social media feed. 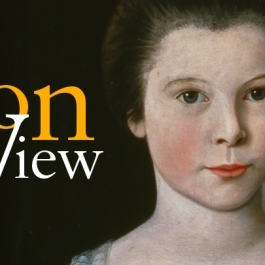 All of the media that we created is easily updated both by visitors and museum staff so it remains fresh and current. 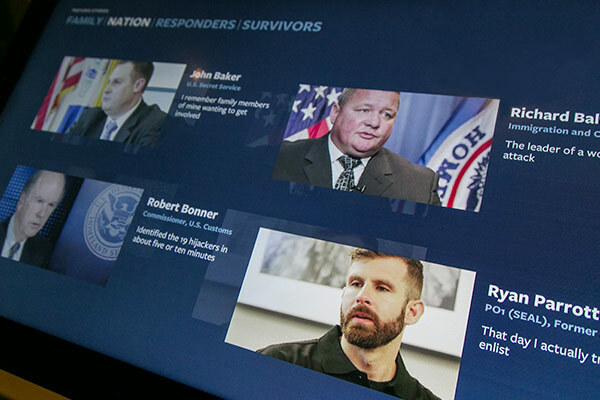 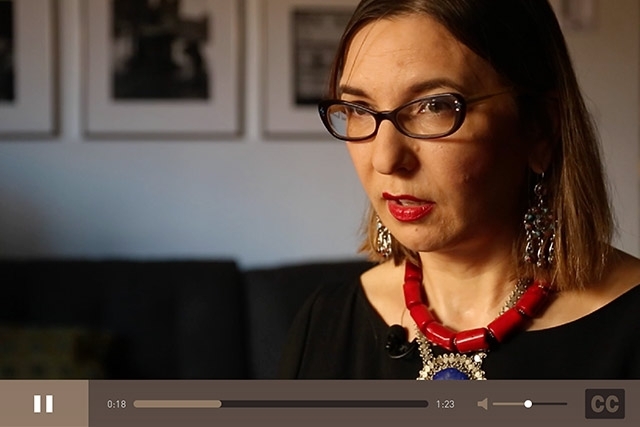 Six oral history video stations tell the stories of 9/11 survivors, first responders and family members. 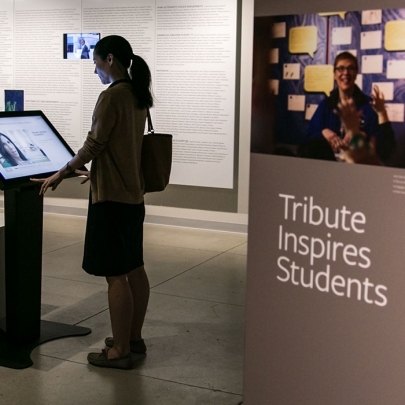 A dramatic exit experience allows guests to contribute to the museum’s media wall by adding selfies and inspirational text relating to doing good in the world. 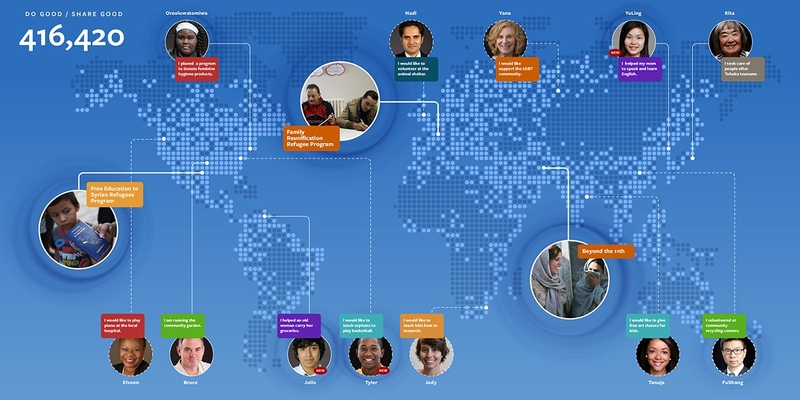 In addition to adding photos and text, Seeds of Service invites guests to enter their email address to find volunteer opportunities around the world. 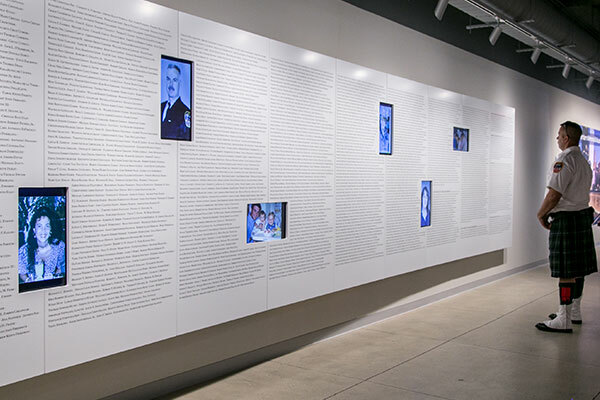 The victims wall uses Bright Sign Players to display photo montages of the victims of September 11th. 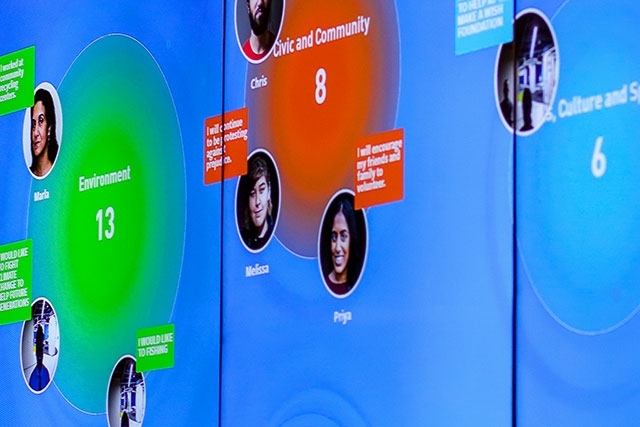 The storytelling pod is a dual-purpose media installation. 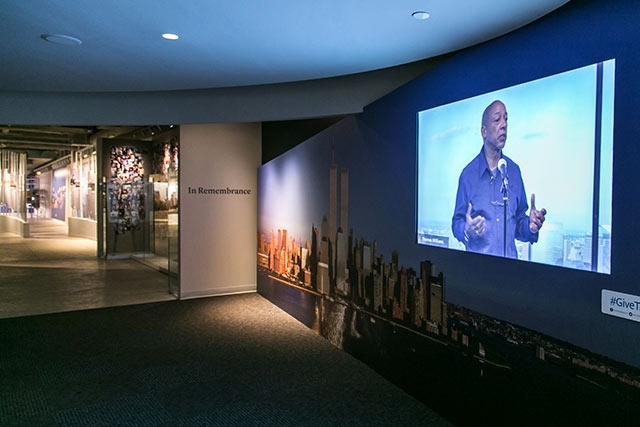 The pod is a place where 911 Tribute Guides can tell their 911 stories. 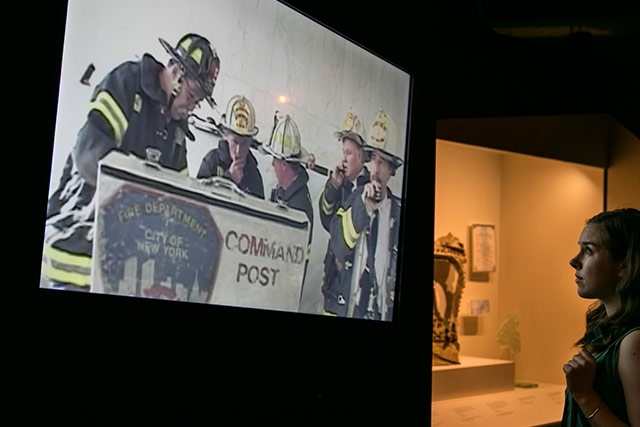 When not in use by a guide, the museum can activate pre-recorded videos of guides telling their stories.